Floating Poppies is a contemporary style artwork, originally created at the highly-talented hands of contemporary, whimsical painter Megan Duncanson. The painting has recently converted into a high-resolution giclee print, with all of the detail, brushstrokes and personality found in the original work. It designed to be an interesting and attractive way of decorating with a contemporary emphasis. 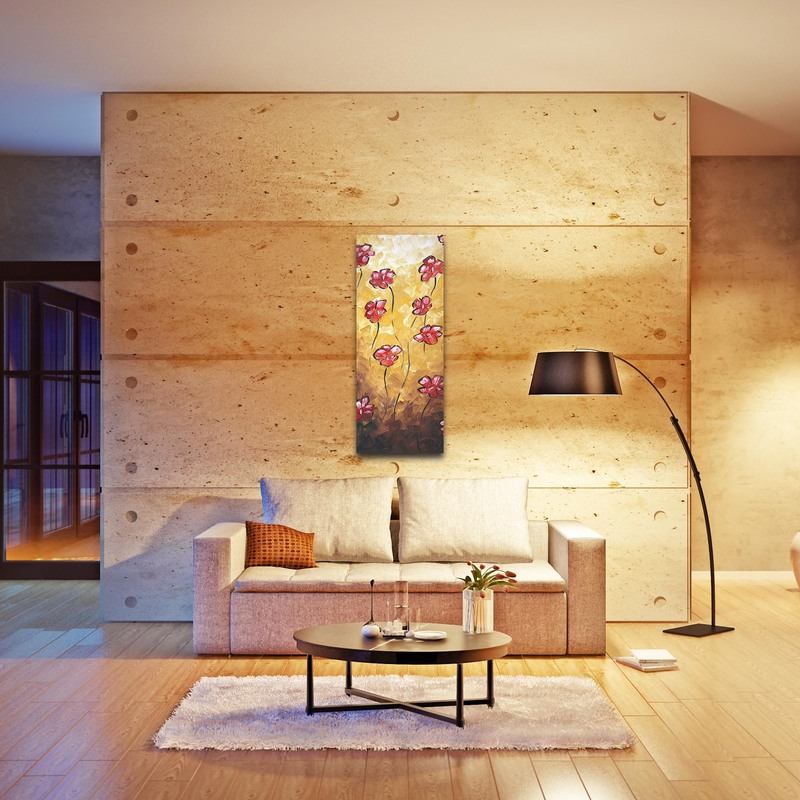 This impasto flower painting is crafted from rugged materials with durable finishes, giving the display longevity and versatility in both indoor and outdoor settings. 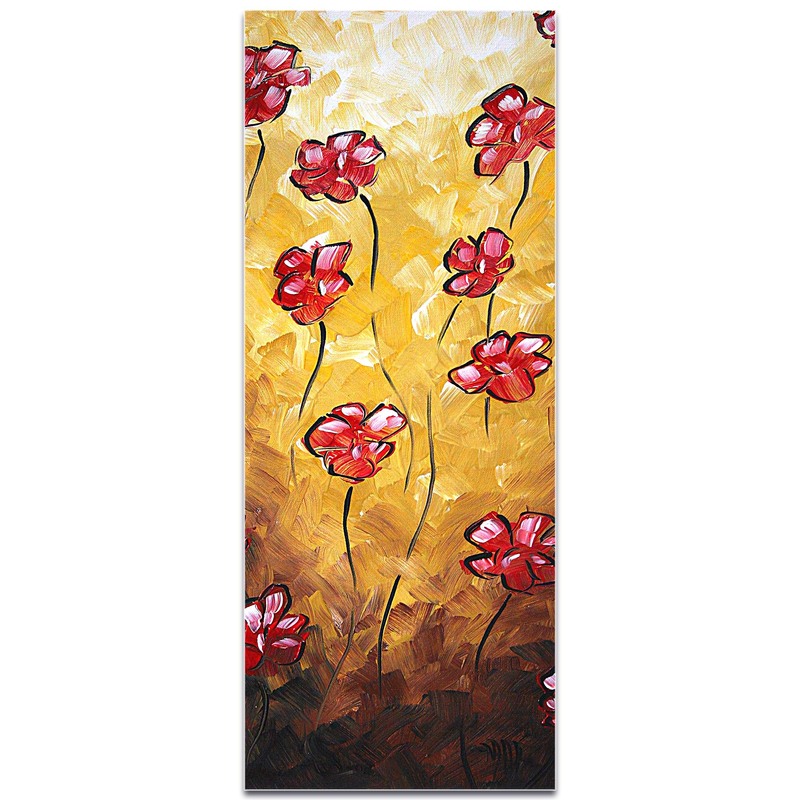 This piece features crisp hues of gold, red, brown and black on metal or acrylic with an artistic matte or glossy finish. This abstract flower art and warm wildflower art is a creative addition to our Contemporary style Flowers Wall Art collection.